We’re all familiar with that first break of winter. You know, you walk outside to get into your car and you can smell the snow melting? It can only mean one thing; spring is upon us. As an Albertson homeowner, there are many first steps to take as far as prepping your home for the warmer seasons. Some of these tasks are more simple such as removing left over leaves from the yard, and other tasks require a little more attention. Such as prepping your HVAC system for those blistering July nights. We know, it seems like we still have a ways to go before we get there; however, the sooner you spring into action, the sooner you’ll be stress free and ready to break out your patriotic swim trunks and fire up the grill for Memorial Day weekend. At Rebmann Plumbing, Heating & Air Conditioning we take pride in our commercial AC and heating unit installation. 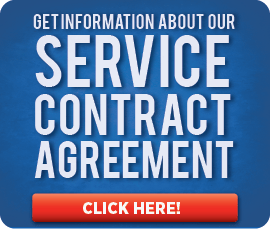 We provide professional and timely expertise in all areas of heating and cooling. So, if you’re here, you’ve most likely already taken the first and most important step, installing an HVAC system. The upcoming season switch serves as the perfect time to spring into action and prepare to turn off the heat and turn on the cool air. 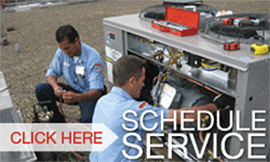 Rebmann has you covered this year, schedule an appointment with one of our HVAC professionals. We have our spring cleaning routine down to a science, we’ll tune up your system quickly and efficiently and have you on your way to a long and sunny summer season. The first and probably most important task on our list is changing your air filters. The change in seasons is the perfect time to take care of this sometimes tedious task. Air filters should be replaced every 30-90 days. They are the key to maintaining healthy indoor air quality. If your filter is dirty, the air is dirty. As we all know, pollen is at an all time high during the spring. Be sure to have your air filter replaced before the pollen season hits. Finally, if your air filter dirty, it makes it harder for your system to do its job. This will result in poor air flow and run a high risk of wear and tear and additional expenses. Duct cleaning is not required as often as replacing your air filters, although its equally as important for clean air quality. A professional duct cleaning must take place at least every 5-7 years. During your professional tune up with a Rebmann team member, your HVAC expert will examine the state of your air ducts and assess whether yours require a cleaning this season. We understand central air conditioning is a luxury, an expensive one at that. And for that reason we’d hate to see precious cool air escaping out of your home through cracks or poorly insulated spaces in the duct work. In addition to keeping your system clean, it’s equally as important to have your ducts professionally sealed at the beginning of the spring season. This will ensure no air is escaping and in turn will lower energy bills. Keeping your family cooler, and your wallet happier! Sometimes we may neglect the outdoor unit because it’s out of sight, especially after a long winter spent inside. The beginning of the spring season serves as the perfect time have your outdoor unit examined and cleaned. A Rebmann professional will assess your unit and ensure there is no overgrown foliage or other debris that may get in the way of your system running smoothly. In the case that you notice a pest that made its way inside the unit, turn off your system immediately and contact a Rebmann technician right away. The final step on your HVAC spring maintenance checklist will include testing your system. You’ll want to have this done early to ensure you’re ready for the first heat wave of the season. The last thing you’ want is to neglect this step until the first 80 degree day or night of the summer and be without cool air. During your appointment, we’ll check your thermostat controls and recalibrate the unit if need be. You should also consider making an upgrade to a programmable thermostat if you don’t already have one. As described by the U.S. Department of Energy, “Using a programmable thermostat, you can adjust the times you turn on the heating or air-conditioning according to a pre-set schedule. Programmable thermostats can store and repeat multiple daily settings (six or more temperature settings a day) that you can manually override without affecting the rest of the daily or weekly program.” Learn more about the benefits of a programmable thermostat here. Why Choose Rebmann Plumbing, Heating & Air Conditioning for your HVAC needs? A thorough HVAC spring cleaning is crucial in ensuring your system keeps its longevity and stays at the peak of its performance level. Schedule your appointment with Rebmann Plumbing, Heating, and Air Conditioning ahead of time. We offer a wide range of services to help keep things running smoothly in your home. Our comprehensive checklists leaves no area of your HVAC system unchecked! Our meticulously trained experts will guide you through any and all of your HVAC servicing needs. 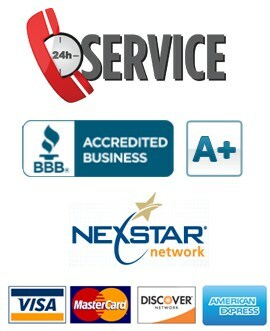 At Rebmann Plumbing, Heating, and Air Conditioning we are prompt, timely, and successful in getting the job done right. 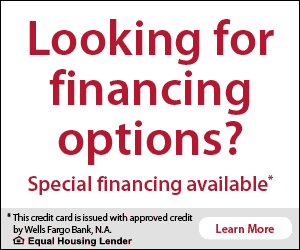 Don’t wait, call us today to schedule your appointment!